It feels surreal how fast 2018 flew by. Now we are on our way to October! And you know what that means - Christmas is just around the corner! Christmas is my second most favorite holiday next to the New Year. What a good time to relax and to mingle with family members. It’s also the time of the year where everyone is allowed to be extra generous and spend money searching and shopping gifts for everyone on our list. But as much as we love to give gifts, sometimes finding the best Christmas gift can be a bit challenging. There is a mixture of joy and stress seeking the best gift idea for our loved ones. Finding something good and useful but still within the budget can be overwhelming. Not to mention we all have less than 90 days left to prepare. All of us deserves a stress-free gift shopping experience. 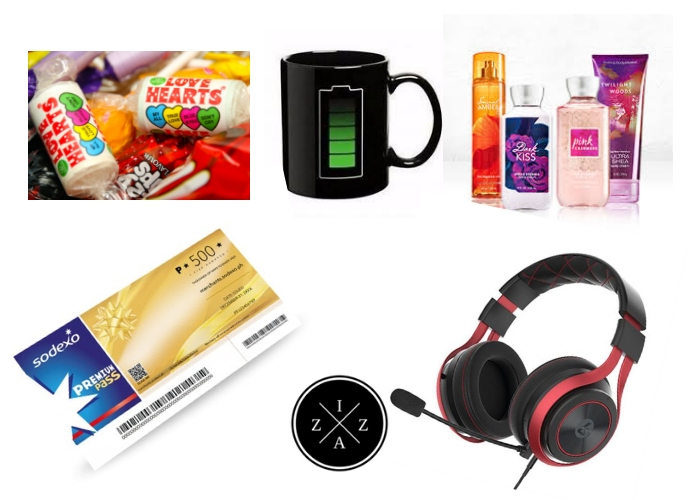 So in today’s post I will be sharing to you the best Christmas gift ideas that will work for everyone. These are gender neutral, useful and cool gift ideas that are all within the budget. You may find headset/headphone an overused Christmas gift item but it still work. Headsets are just useful for everyone. I personally don’t mind having a backup headset/headphone with me. 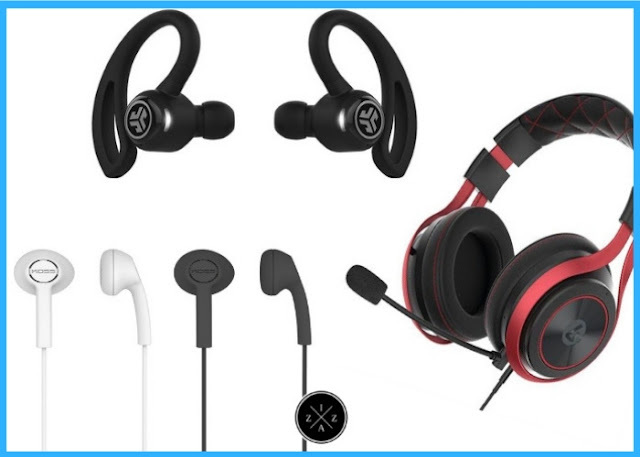 There are plenty of headsets you can choose from depending on how well you know the receiver of the gift. There are those with blasting bass – perfect for your music lover friend. How about the noise-cancelling headphone for your Ate or Kuya who is taking a board review? Wireless headphones, on the other hand, are perfect for a colleague who loves to run or into any sports. Here’s another best Christmas gift idea that will be appreciated by anyone on your list – a bath and body gift set! Give the gift of relaxation with cheap bath and body care to your family members, friends, co-workers, or that special someone. 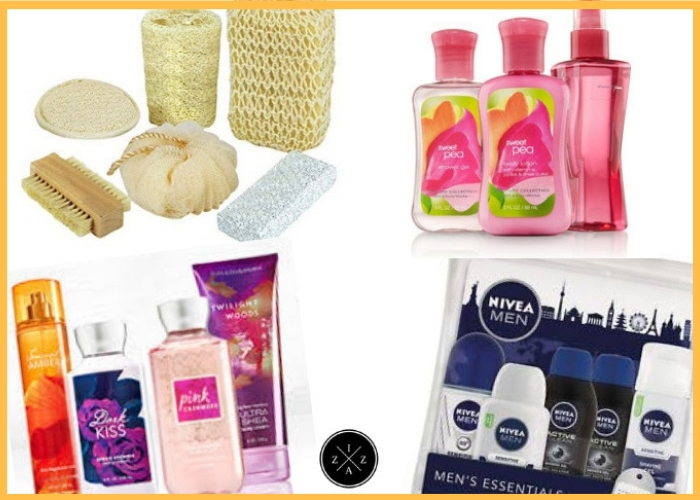 What I love most about bath and body gift sets is how widely available they are. You can find one in department stores or beauty stores nationwide. Also, they come with 3-4 discounted items already so the receiver of the gift will most like feel special. Plus, gift sets are mostly packaged nicely so it is less task on your part to wrap. 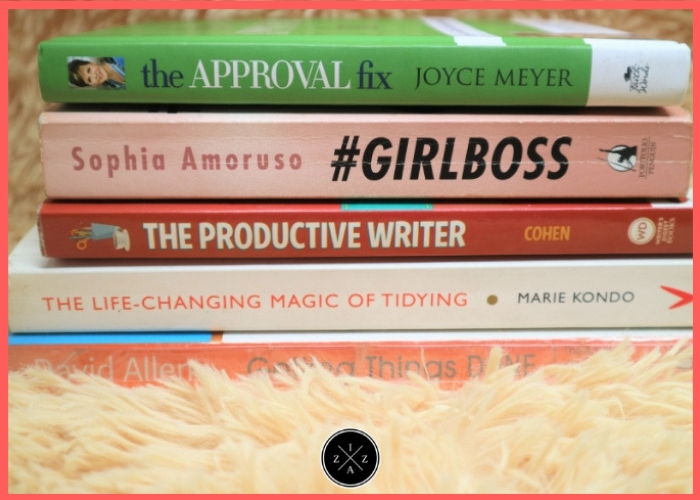 Who will say no to a self-help book? A self-help book is one that is written with the intention to instruct readers on solving personal problems. Self-help books are perfect for those whom you know are into personal development. Those who love learning others’ stories, processes and best kept secrets to success. There are self-help books about time management, financial stewardship, investing in stocks, starting a business and/or positive thinking. I enjoy reading and always have a passion for new books to read so this is definitely one of my best Christmas gift idea. Nothing says "Happy Holidays" better than sweet treats like chocolate, cupcakes, cookies or popcorn. I remember last Christmas when I received a ton of sweet treats from my co-workers and friends. I did enjoy the almost unlimited supply of dessert and confectionery that time. 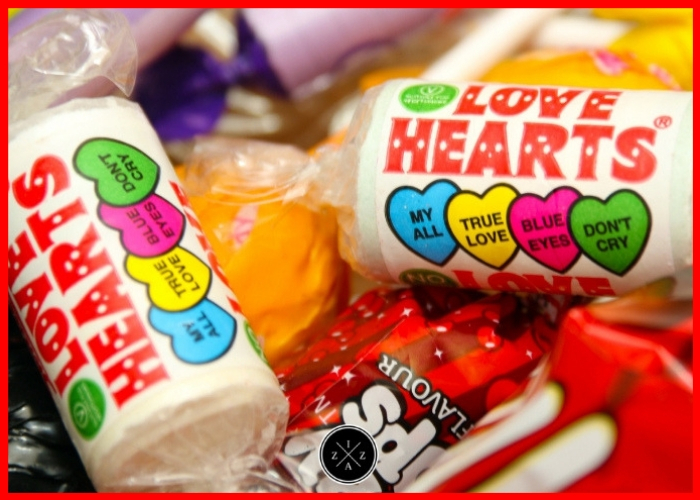 Sweet treats are ideal for it can be shared to everyone. They also come in colorful and Christmas-themed packaging that are always appreciated and a great way to stay within your budget. I find mugs to be a top choice for neutral, useful and cool gift idea for Christmas. 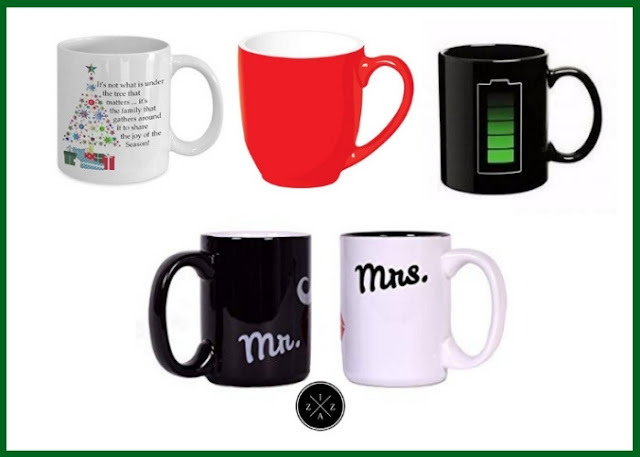 You can give mugs as they are or you can fill them up with treats, office supplies (pen, notepad and whiteout) or whatever unique idea you might have for the specific individual you are gifting it to. There are coffee mugs that are Christmas themed already you can buy or choose novelty mugs that has words that best describe the receiver of your gift. I also find the self-stirring mug to be a clever and fancy gift for someone special. Mugs are not just for coffee lovers. One can use it for any type of beverages. It can also be used as storage for lipsticks or pens. The best Christmas gift idea that most definitely work for everyone are gift certificates. GCs are everyone’s best friend whenever Christmas season is approaching. It’s practical, provides freedom for the receiver to choose whatever gift he or she would want plus cost efficient without sacrificing the value. 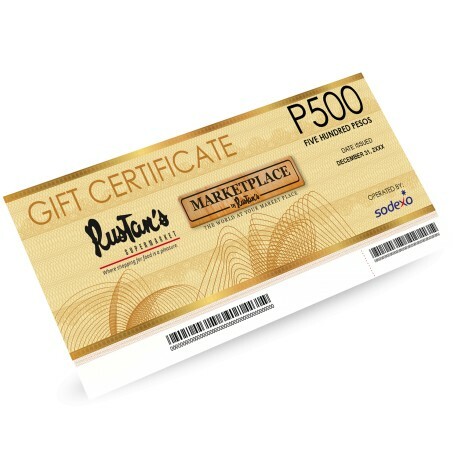 A gift certificate (also known as gift card) is a prepaid stored-value money card usually issued to be used as an alternative to cash for purchases within a particular store or related establishments. Gift certificates are not redeemable to cash but if the item you wish to purchase is higher than the price in the card, you are free to top up with your own money instead. What’s even better is that GCs nowadays are not just for shopping gifts alone. You can actually use it to provide a Christmas dinner for your family, a movie night with your barkada, a grocery package for your co-workers and many more. Holiday giving can be destroyed by mismatch gifts. We all experienced that moment when we received a gift that is a size bigger (or smaller) than what we need. Or we went home after the Christmas party only to find out we already have the same item laying around our room. I think the hardest scenario would be receiving a gift we don’t actually like despite spending time, money and effort on the gift we provided. This is where gift cards come along. Gift certificates give the recipient the freedom to purchase whatever he or she like, up to a certain price. Gift certificates are better option than actual gifts if we lack information about the receiver. Occasions such as office Christmas celebration, high school/college batch Christmas reunion or a year-end appreciation to clients/partners. Gift certificates are easy to find and to buy. Have you heard of GC Relalo? 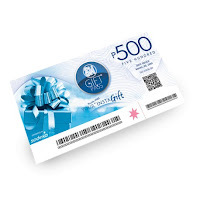 GC Regalo, is an online gift certificate (GC) store owned by none other than SM and Sodexo. They provide an easy, fast, flexible and reliable gift giving experience for everyone through useful gift cards that can be bought online! All gift certificates provided by CG Regalo are accepted in more than 10,000 establishments nationwide whether for food, clothing, grocery, entertainment, gadgets, leisure, etc. 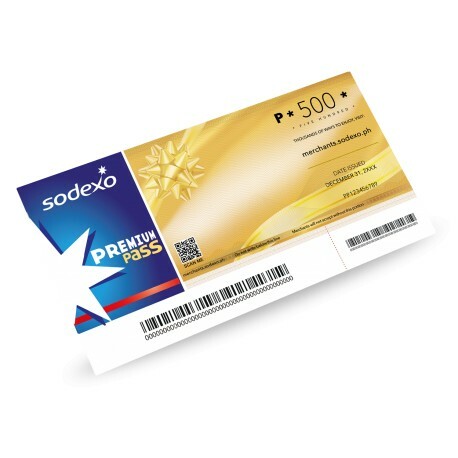 Sodexo Gift Certificate is the number 1 gift certificate in the Philippines accepted in all SM affiliated establishments and over 10,000 merchant stores nationwide. 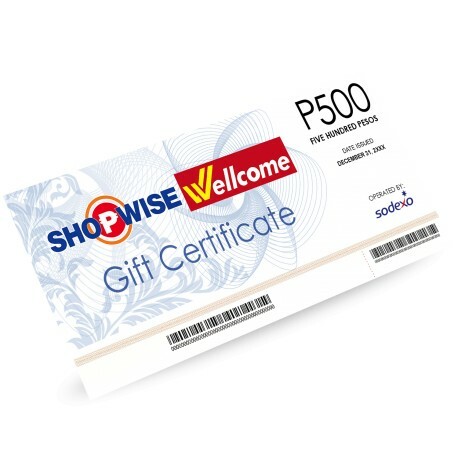 SM Gift Pass is the official gift certificate of SM Supermalls. This GC can be used in all SM Supermarket, Hypermarket and Savemore outlets. It is even accepted in SM Department Store and Appliance Center as well. 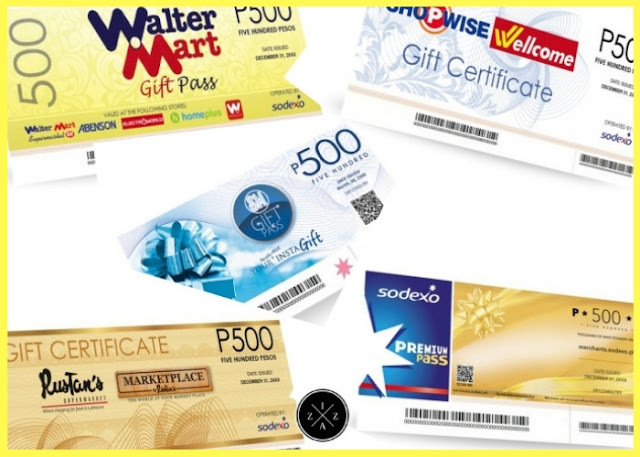 Rustan’s Supermarket GC are perfect for premium shopping experience. This GC works for grocery and lifestyle shopping at Rustan’s Supermarket and Market Place. Shopwise and Wellcome Gift Certificate are perfect companion for those want to shop for a wide selection of goods, groceries, clothes, toys, and home accessories, all under one roof. This GC can be used in all Shopwise and Wellcome outlets all over the country. Walter Mart Gift Pass is made available for loved ones, friends and colleagues who enjoy shoping at Walter Mart Supermarkets, Abenson, Electroworld, Homeplus and Walter Mart Department Stores. This GC can be used for groceries, electronics, appliances, tools, furniture and more. 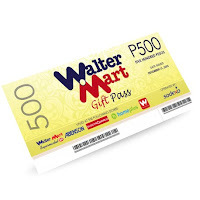 Please note that all value of the gift certificate is Php 500. Also you have the option to make it in denomination of Php 100. The Yuletide season is said to be the happiest and I agree. There’s something about Christmas that brings warmth in my heart. 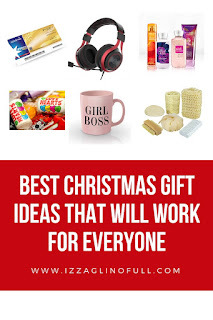 I hope you enjoy this list of best Christmas gift ideas that will work for everyone! What gifts are your giving this year?